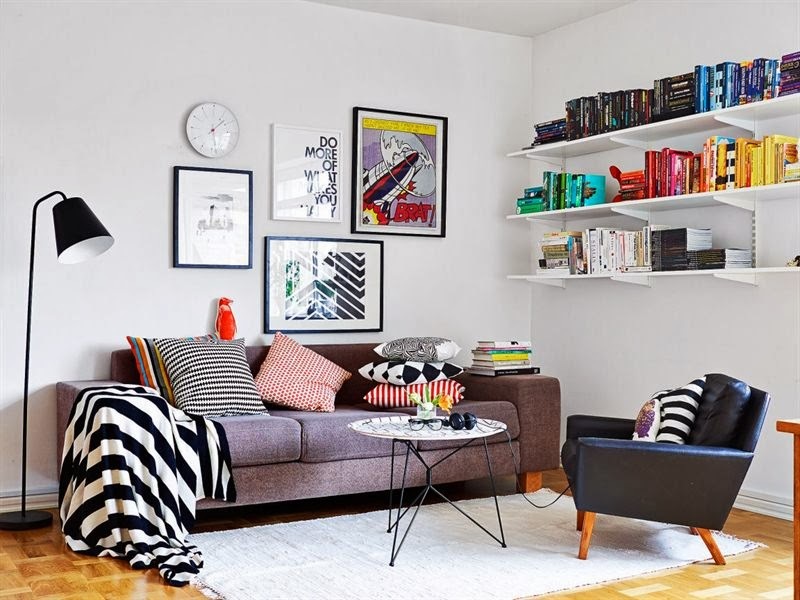 This is a perfect home to brighten up a dreary Monday in February with it's bold colours and patterns and cool prints. 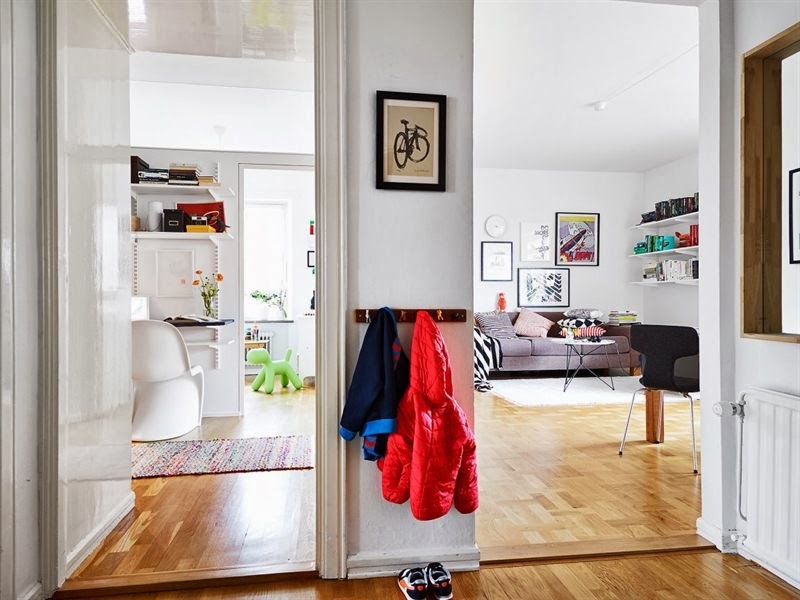 I love the way the home has been designed to maximise the use of space too, for example the hall double's up as a work space and the area between two doors has been used to hang children's coats. It's fun, slightly quirky and very cool, I like it! How about you? 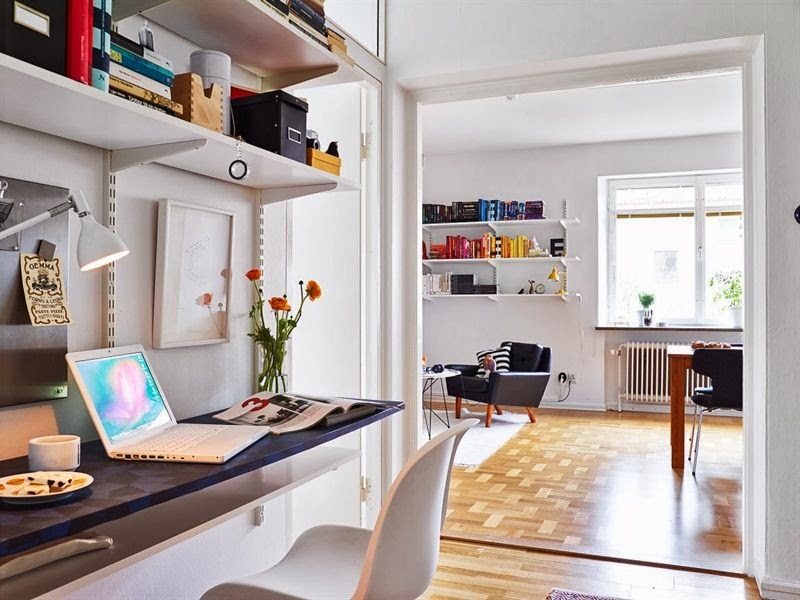 What do like most about this family apartment? 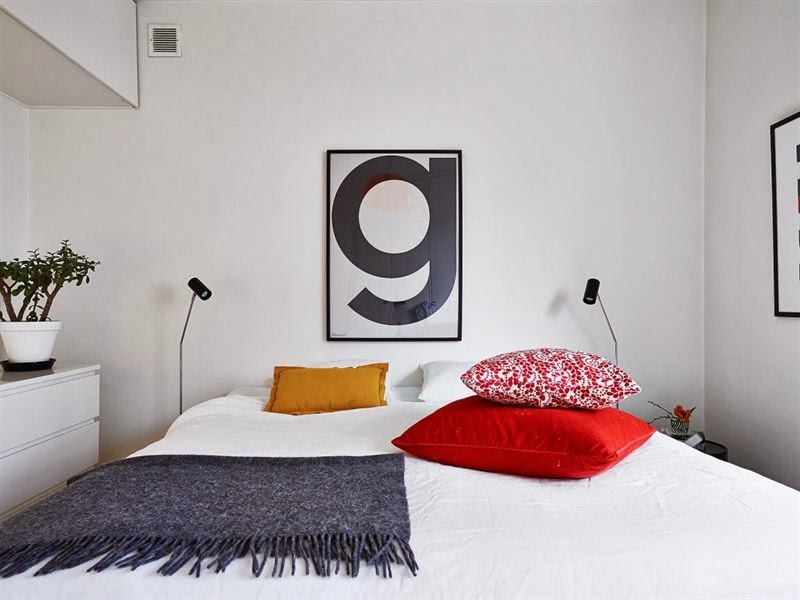 I spy: the Vitra Panton chair (15% discount with code MYSCAN), the Magis Puppy Chair in the children's bedroom, the Rosendahl Arne Jacobsen Bankers Clock is similar to the wall clock. 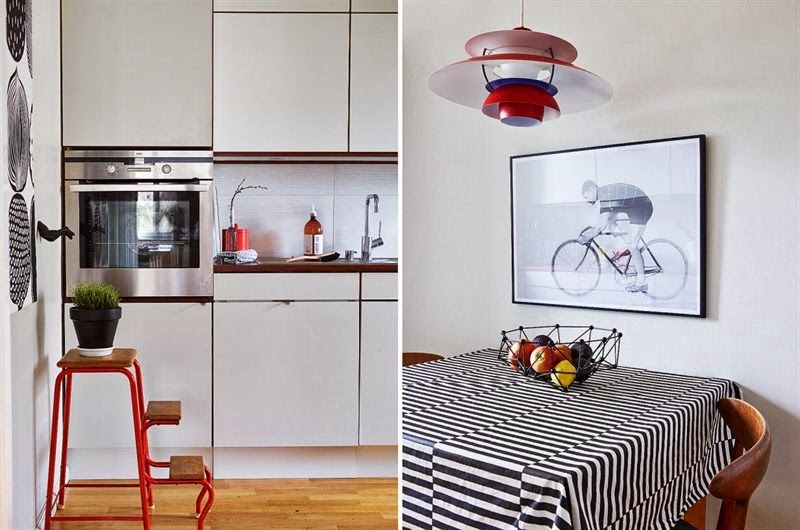 A vintage PH5 pendant lamp (try Lauritz). 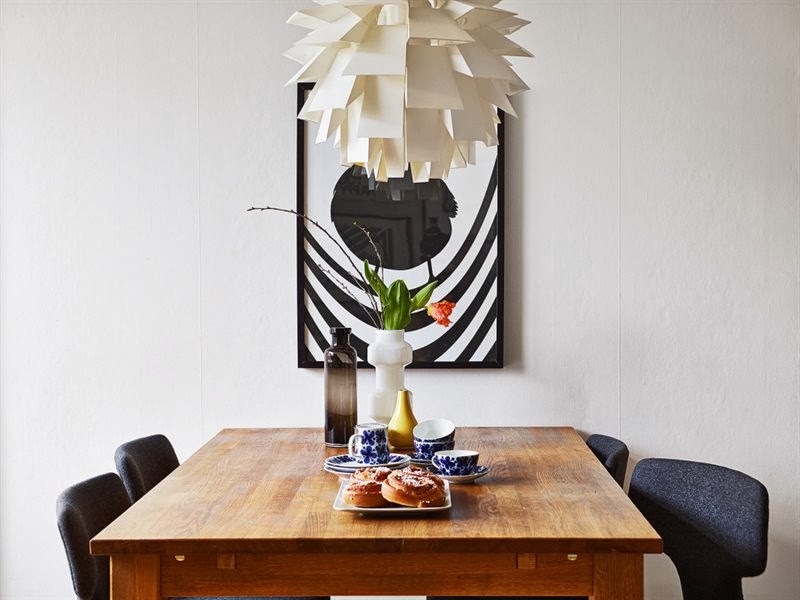 The Artichoke Suspension light is similar to the one they have over the dining table. 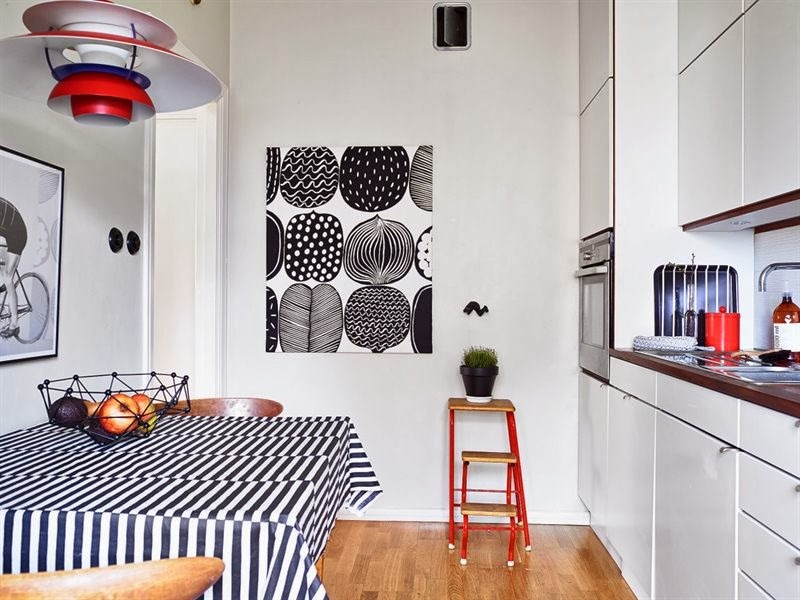 For other apartments with a mid-century touch try this fab house owned by a stylist and fashion photographer, the very cool Row House and this Dalarna home which takes mid-century to a whole new level! Have a lovely start to the week!